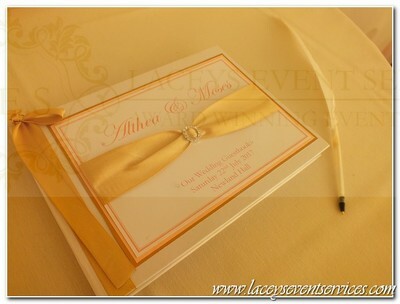 A wedding guest book or Guest Signing book is a traditional way of gathering all of your guests well wishes for the future. 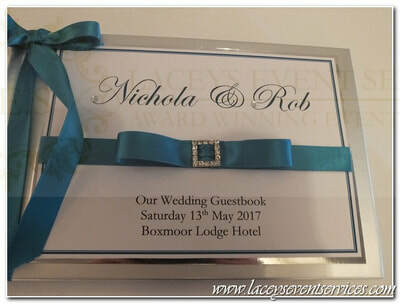 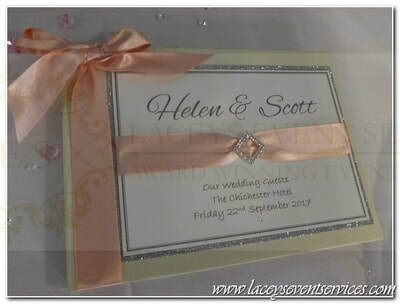 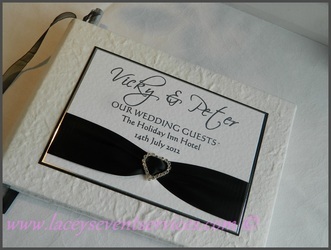 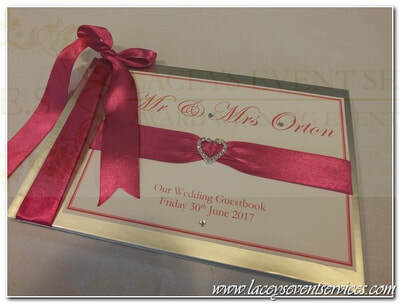 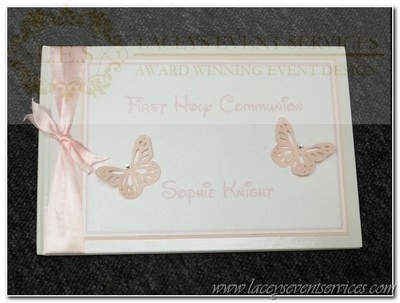 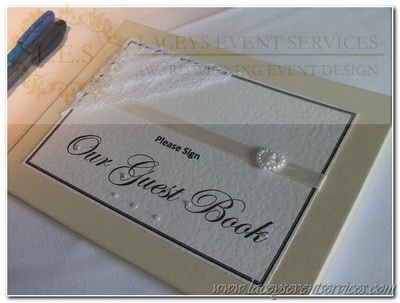 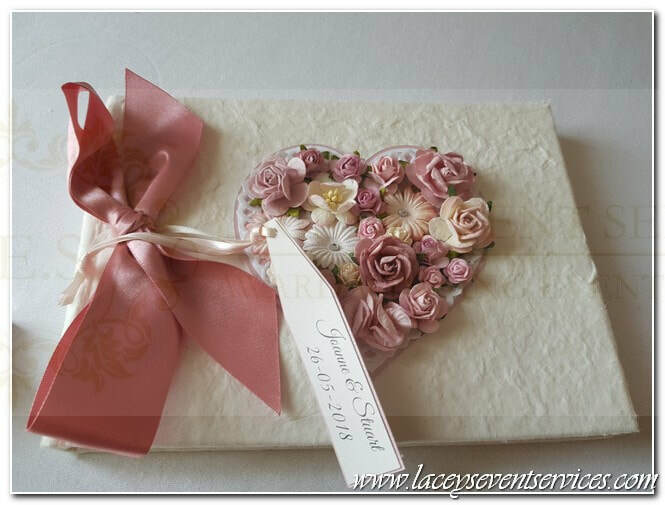 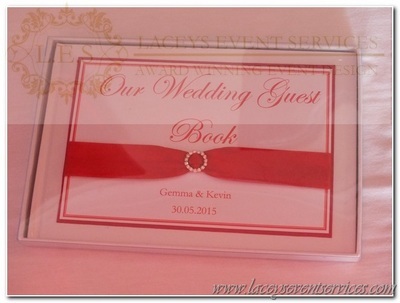 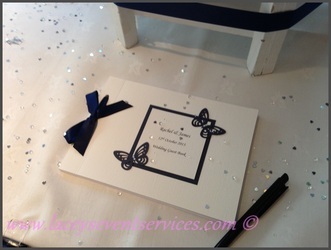 A personalised wedding guest book is often placed on the gift table at the entrance to your wedding reception room for your guests to sign and leave messages for the married couple as they place their gifts. 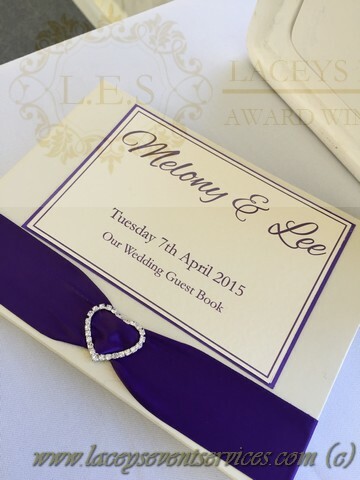 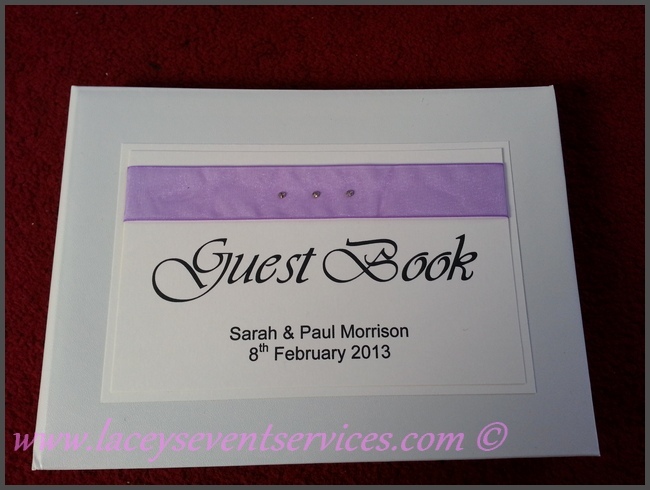 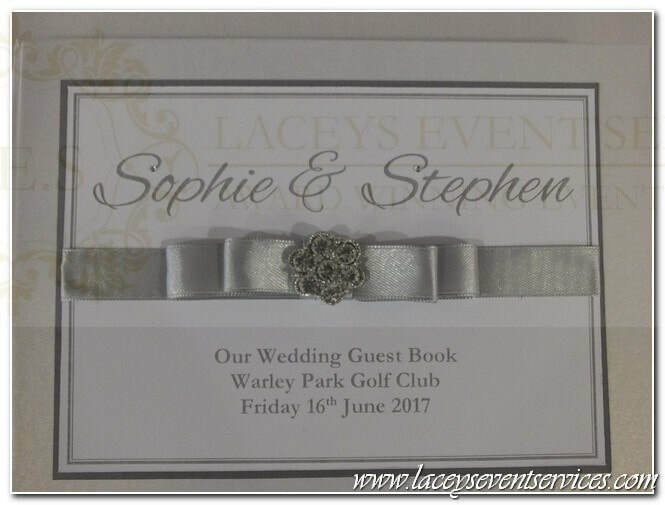 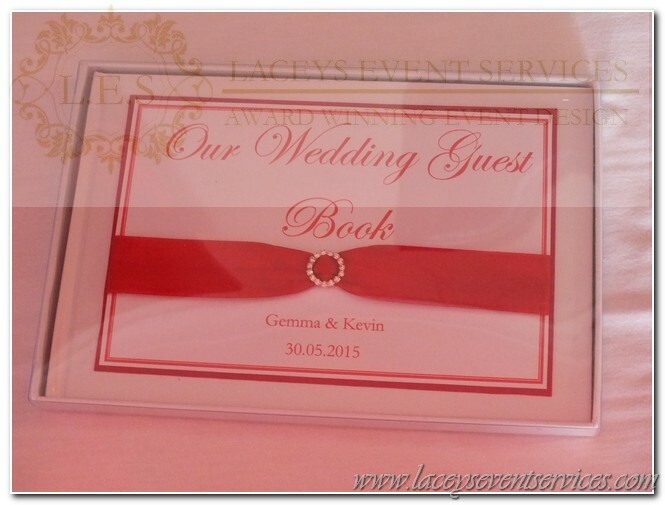 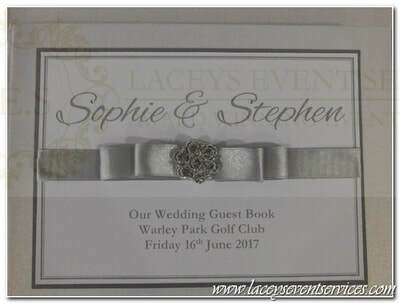 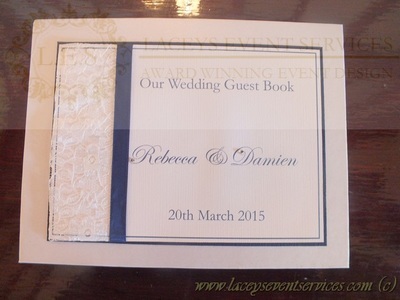 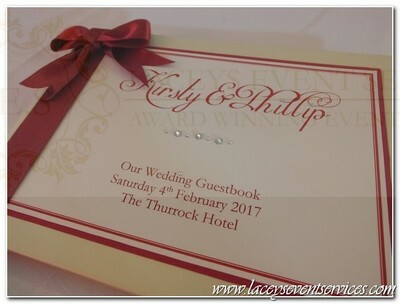 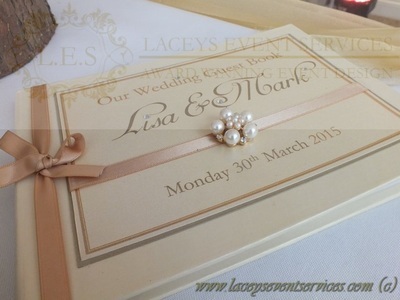 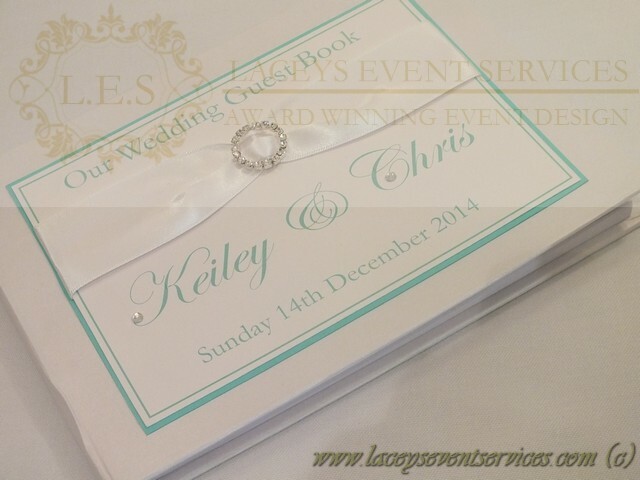 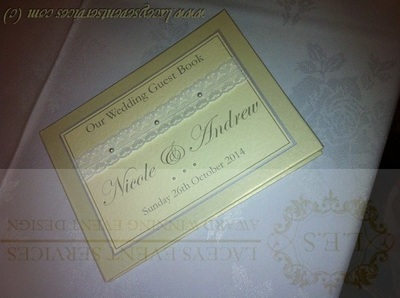 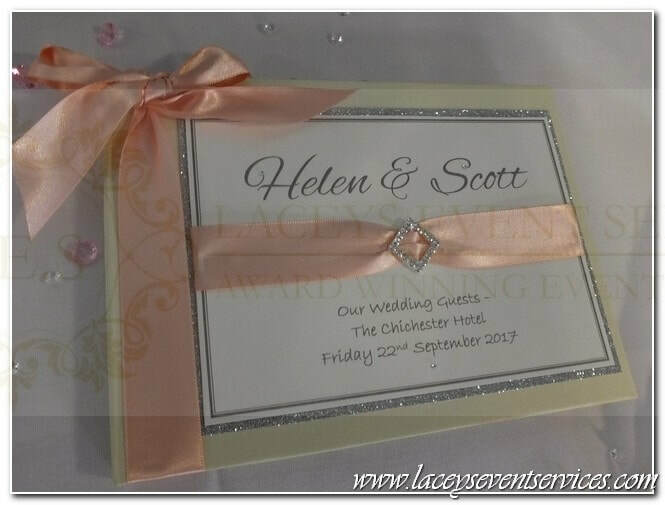 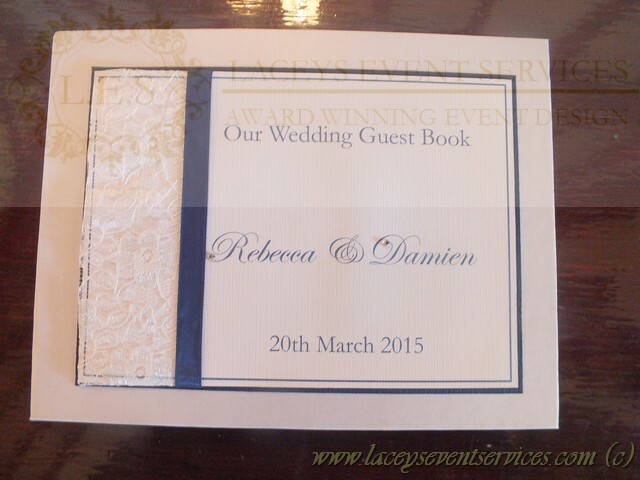 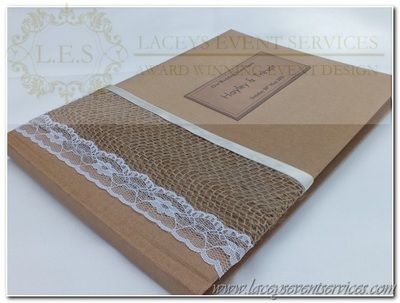 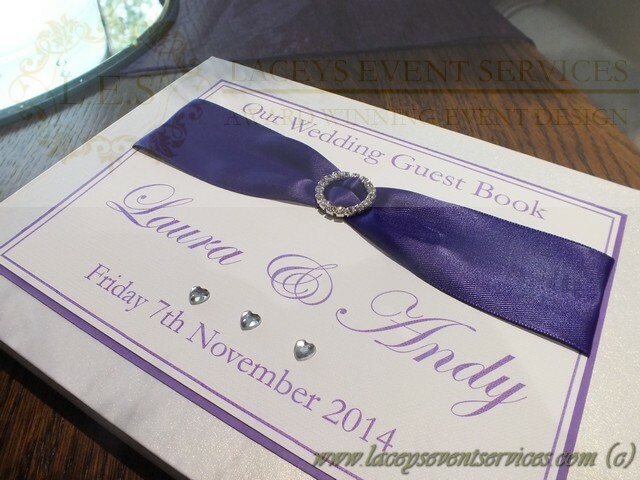 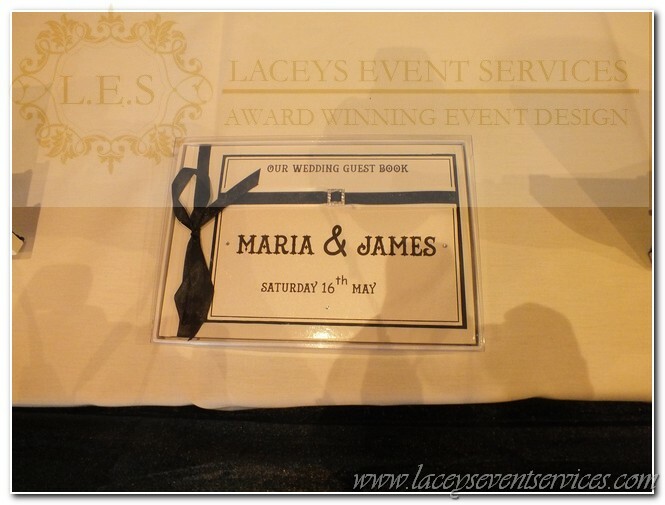 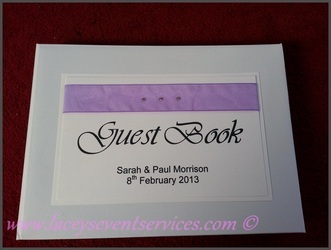 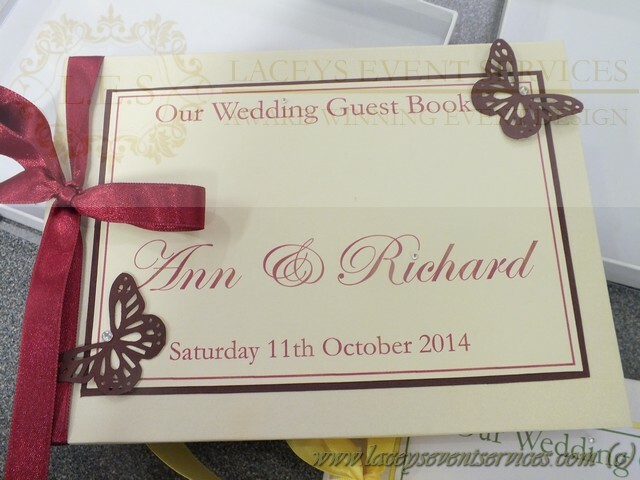 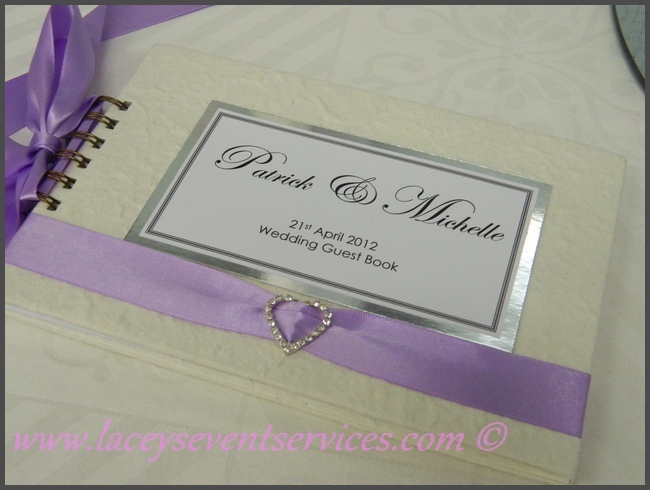 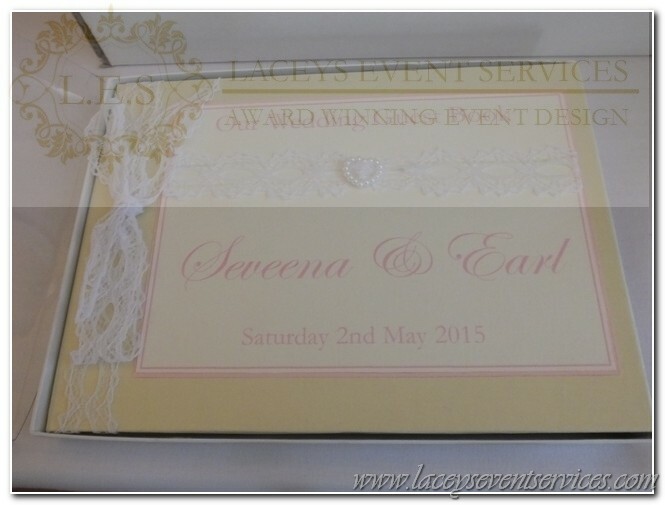 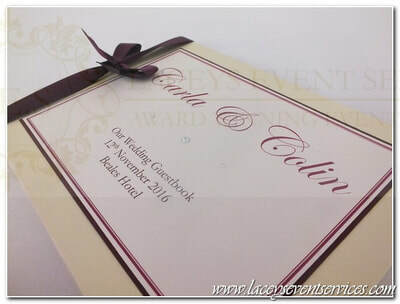 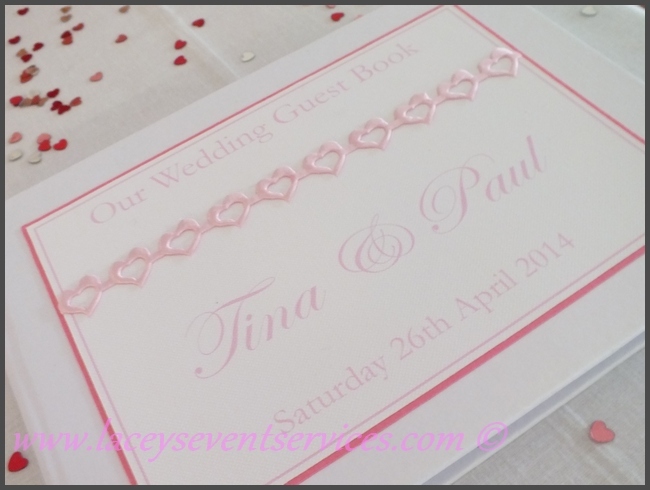 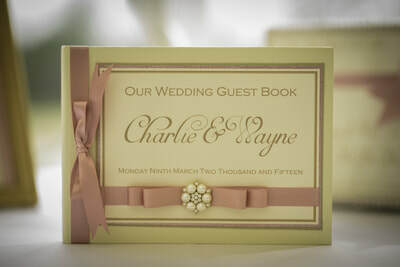 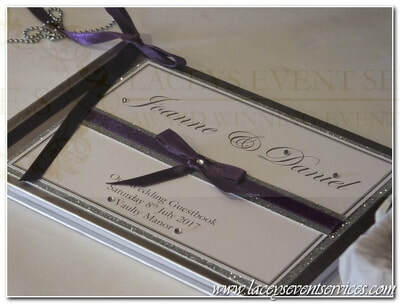 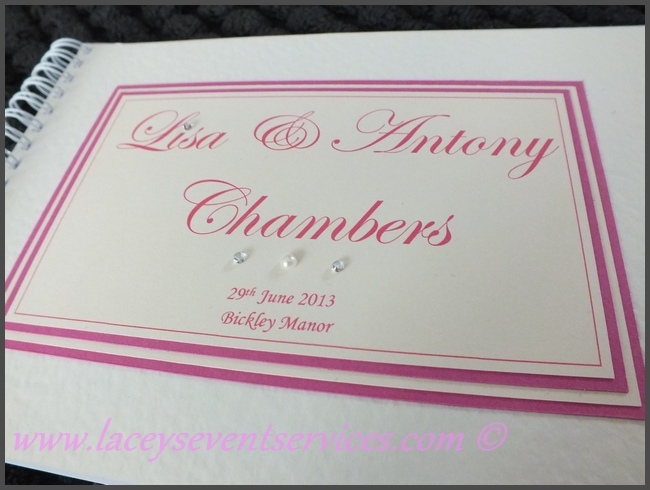 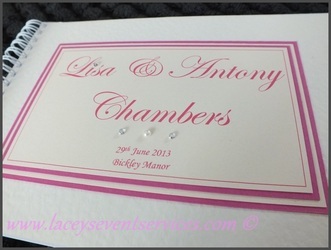 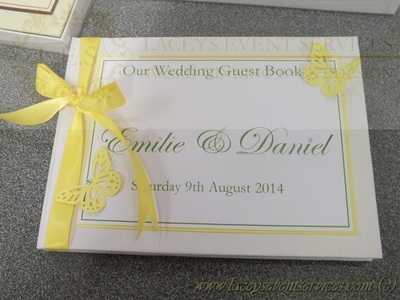 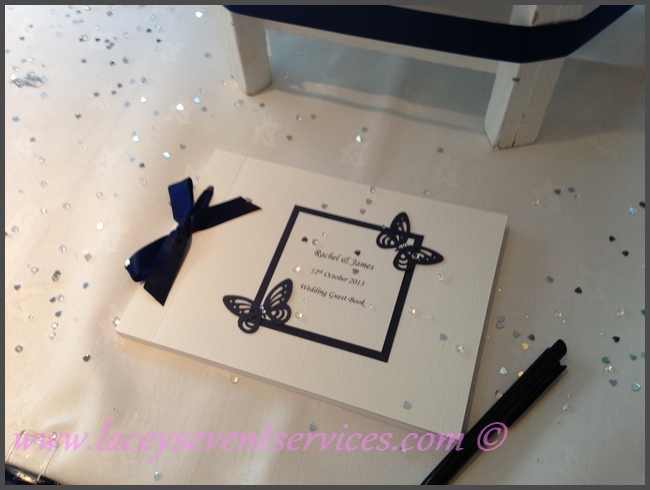 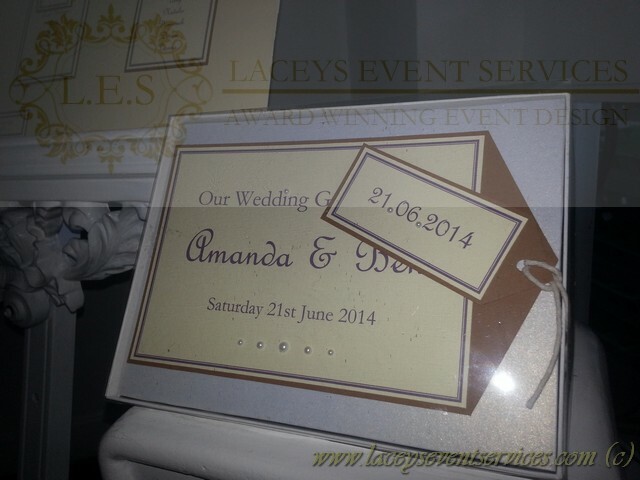 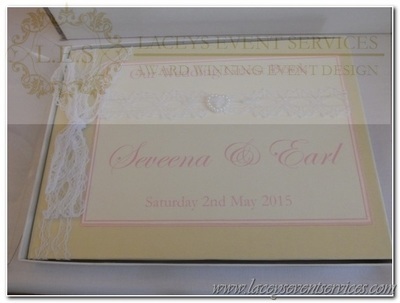 Our wedding guest books are available in Buff, silver, gold, white or ivory and are personalised in your chosen colours with your names, wedding date and venue with the option of a message for your guests if you desire! 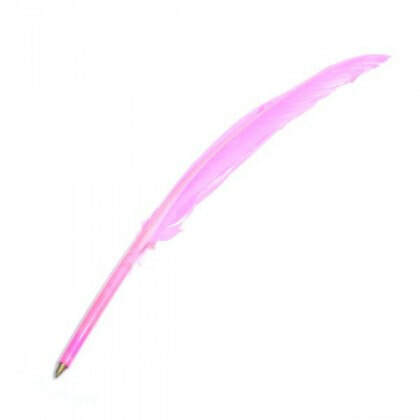 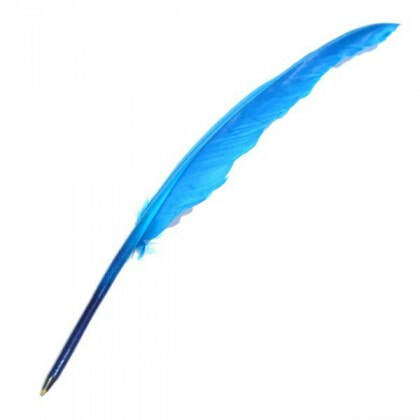 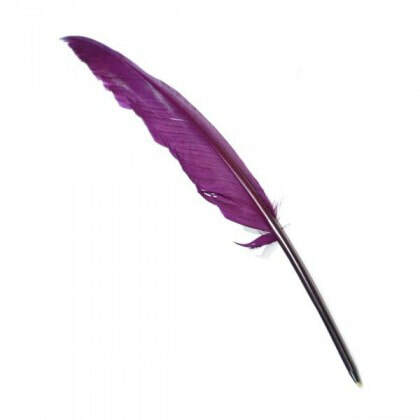 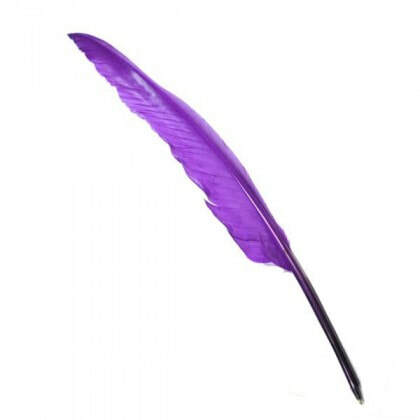 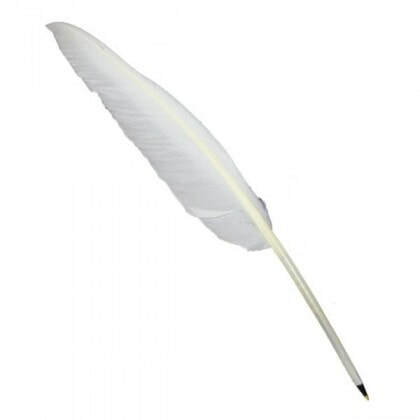 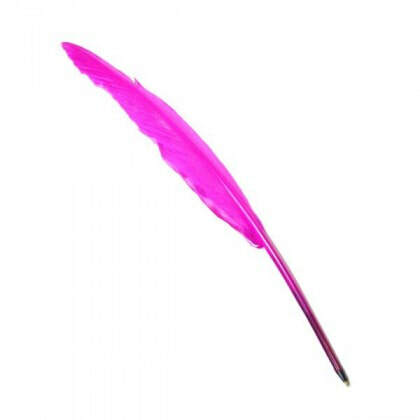 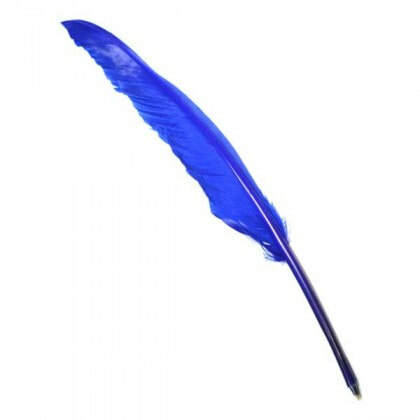 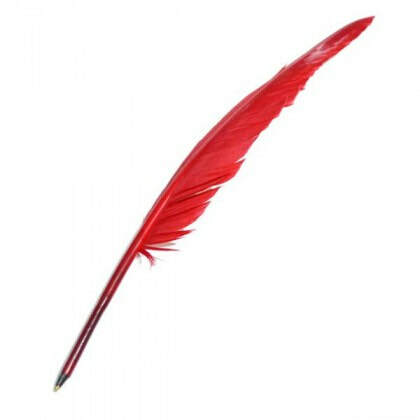 Flowers, ribbons and brooches can be added to create the style that matches your chosen wedding theme and we stock a range of Elegant feather quill pens in all colours to compliment your guest book!